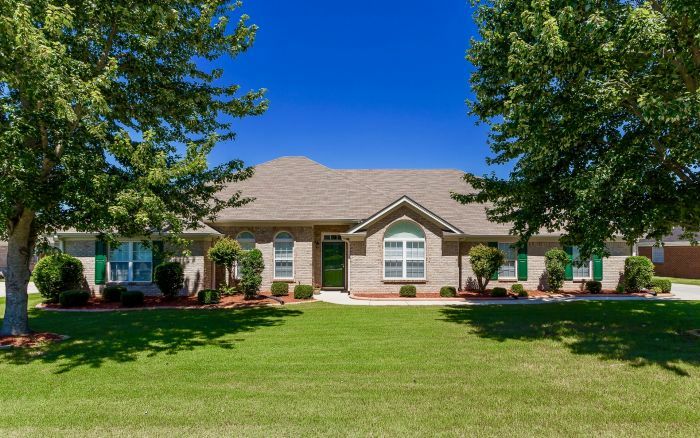 A lovely blend of elegance and comfort designed for family function awaits at this beautiful move-in ready ranch home. 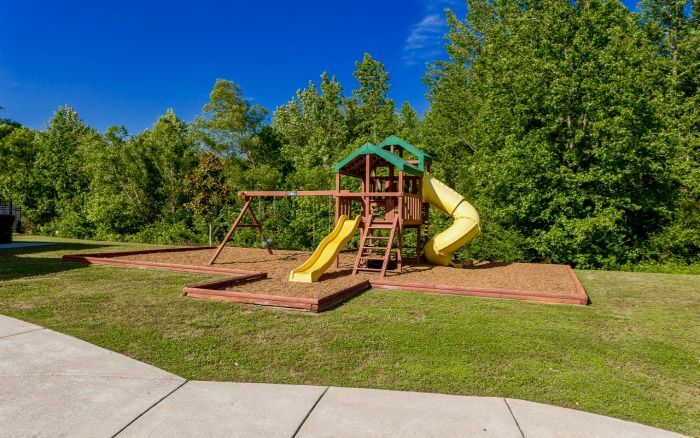 Nestled on a large landscaped cul-de-sac lot in the park-like setting of Riverside Landing 105 Pineda Drive is just waiting for you to arrive. 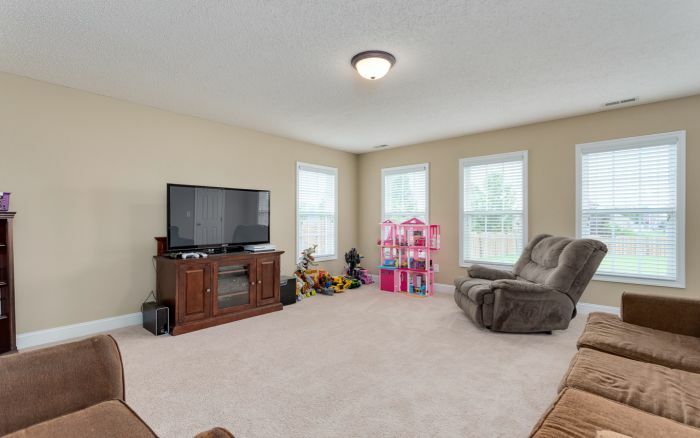 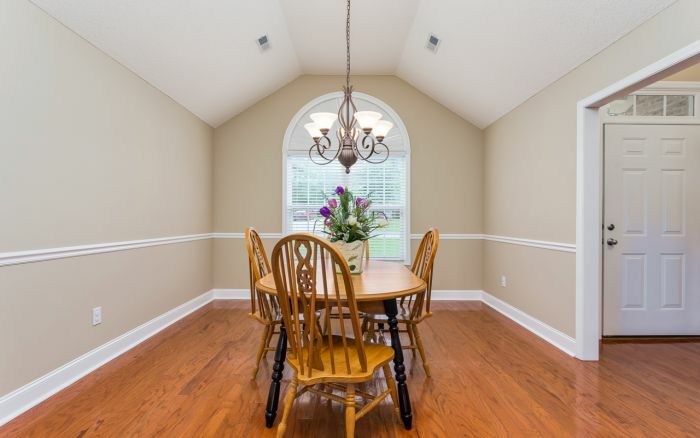 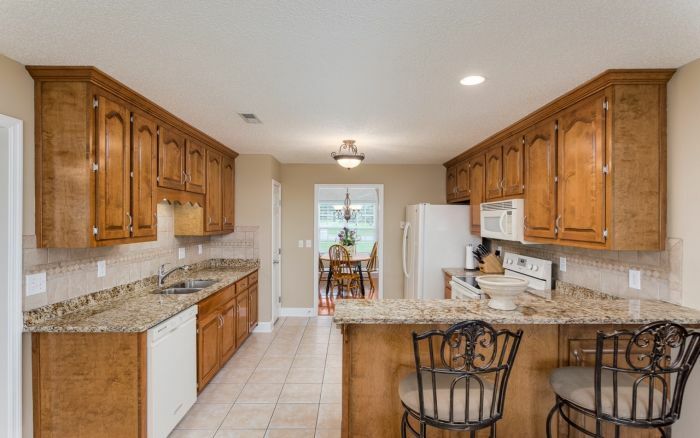 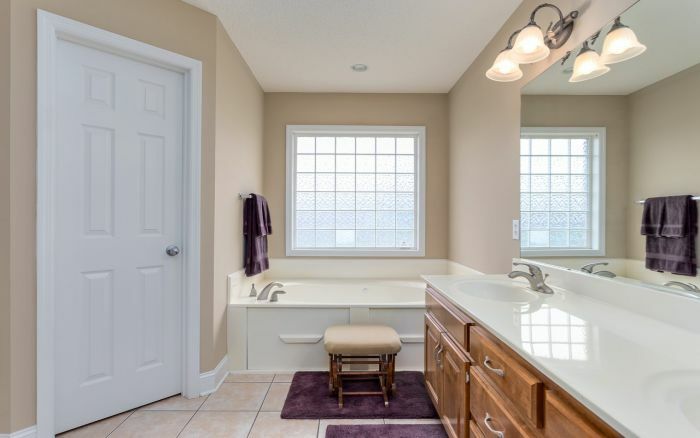 Tastefully finished main level living offers fresh paint, new carpet, tiled wet areas, formal dining room, 2 car side entry garage, all brick exterior with vinyl soffits and plenty of room for entertaining. 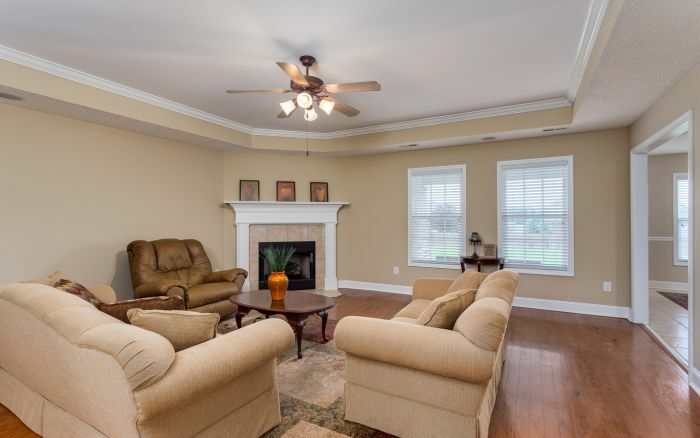 An alluring family with gas log fireplace and backyard views flows effortlessly into the casual dining area with outside access. 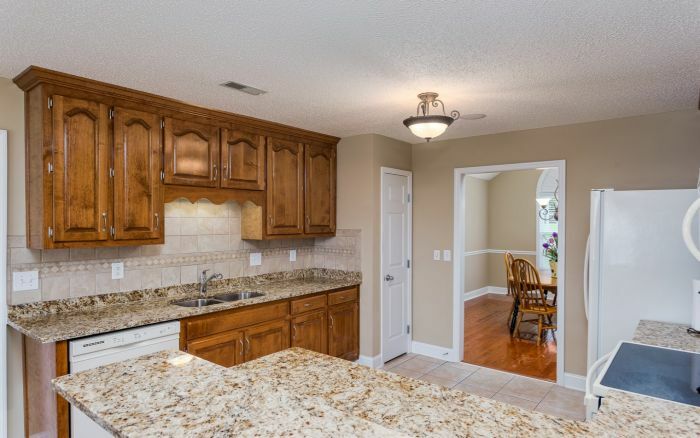 Family and friends can perch at the breakfast bar to be the first to sample from the Chef inspired kitchen with new granite counters, an abundance of cabinets, smooth-top range, tiled floors and decorative tiled backsplash. 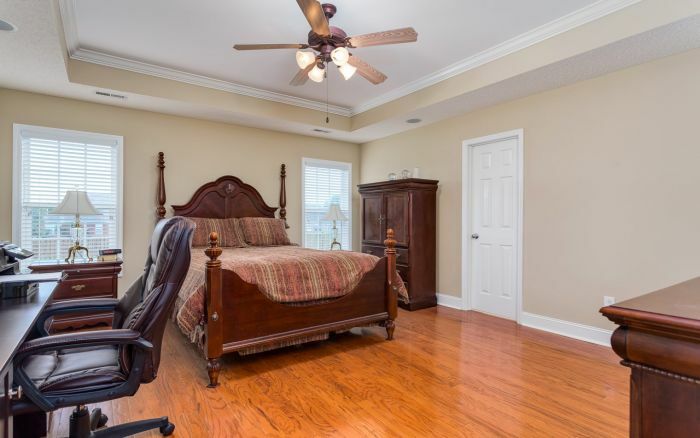 A dreamy master suite offers hardwood floors, ceiling fan, trey ceiling and a sleek bath with elongated dual vanity, bubbly whirlpool tub, walk-in closet and a linen closet. 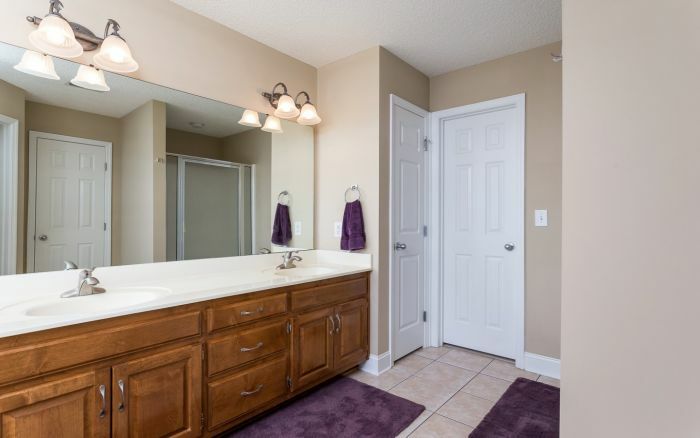 The secondary bedrooms are sized generously with two bedrooms sharing an adjoining tiled bath with dual vanity. 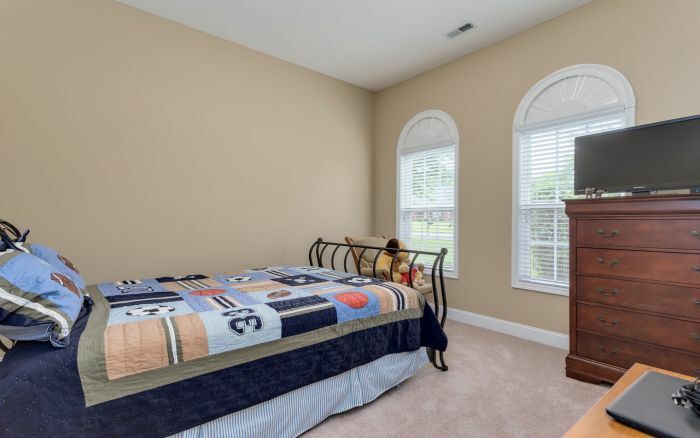 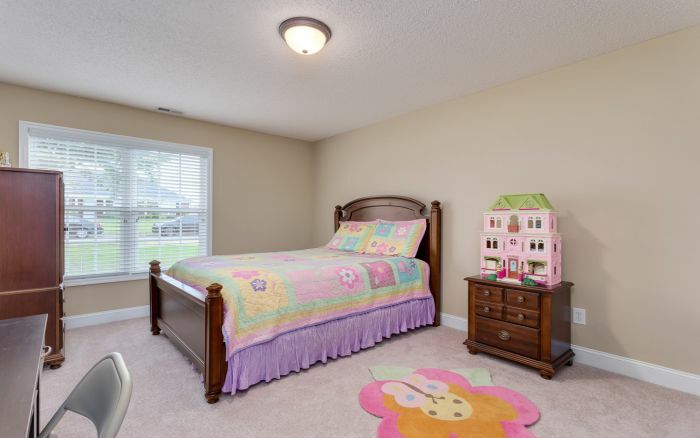 The vast sized fourth bedroom is great flex space for a recreation room or additional living space. 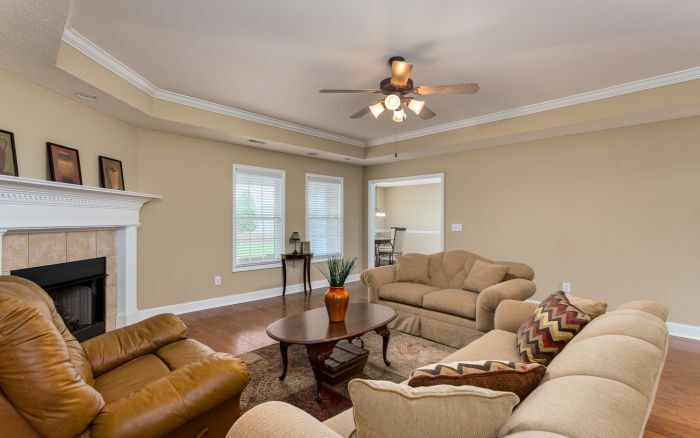 Enjoy the sounds of your favorite music piping thru the built-in speakers in the family room, kitchen master suite, and even outside patio. 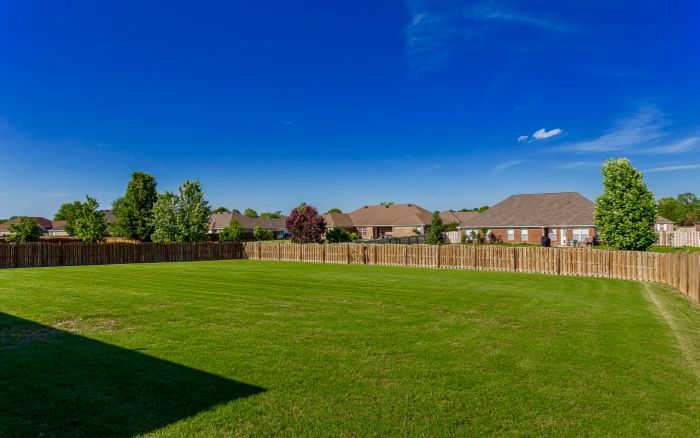 Relax on the patio while the kids and pets roam the huge fenced backyard, it is perfect grilling and chilling. 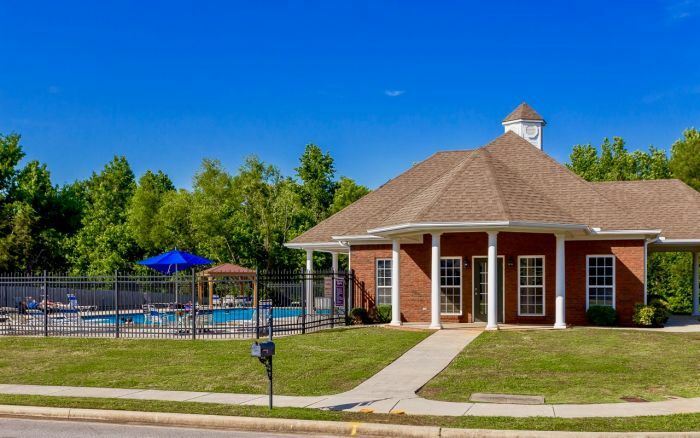 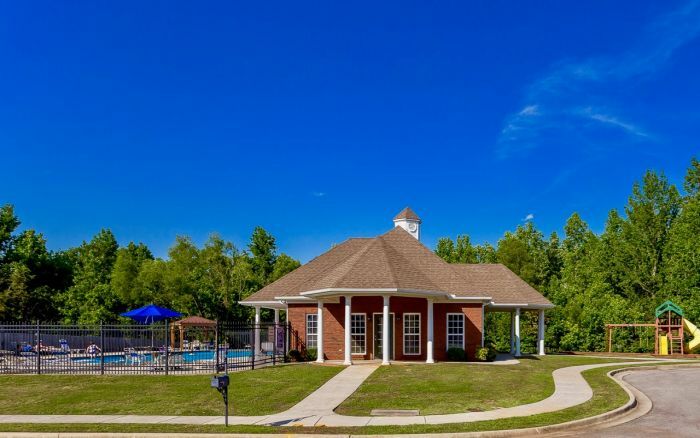 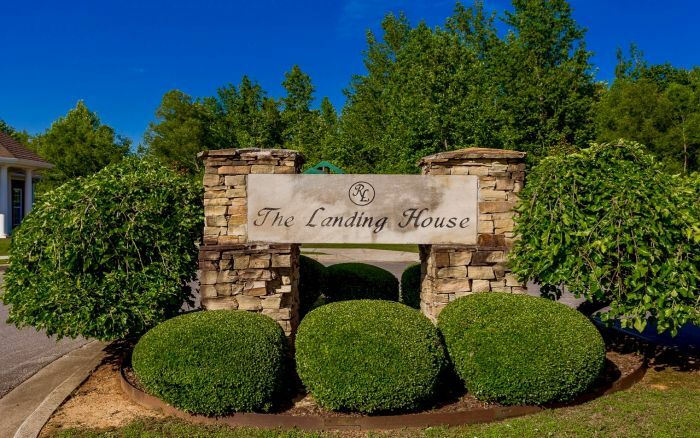 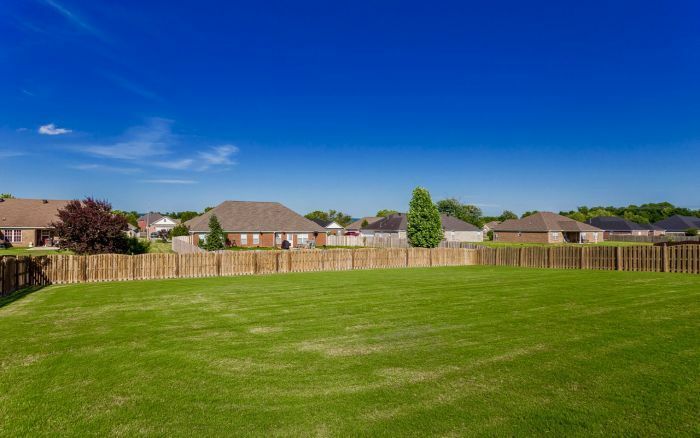 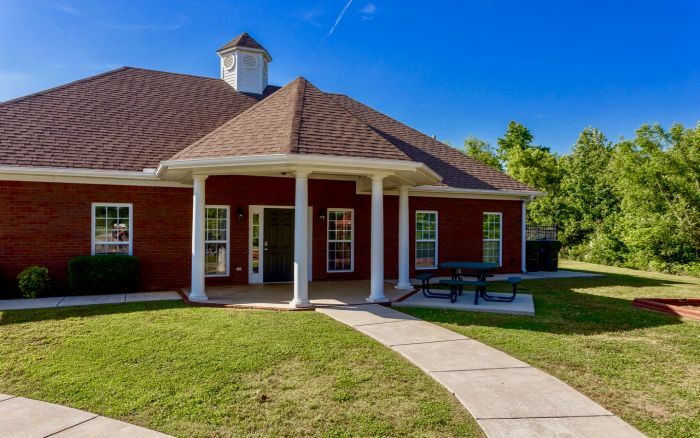 Stroll to the duck pond, take a splash at the community pool, meet new friends on the playground, gather with neighbors in the club house, canoe the Flint River or just relish in the 50 acre preserve; there is something for everyone in Riverside Landing! 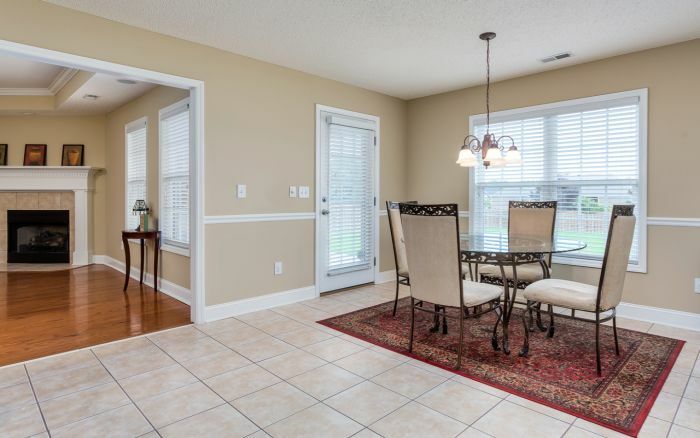 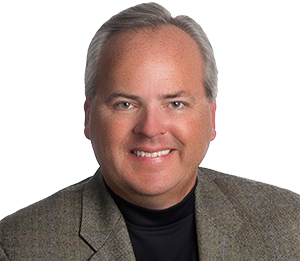 Stop by take look this is the home you have been waiting for!